Tri Star Energy is one of the largest fuel suppliers and premier convenience retailers in Tennessee. Working closely with the executive team, we helped the company identify marketing priorities and delivered an all-new website, a fresh take on an old logo, and professional headshot photography. 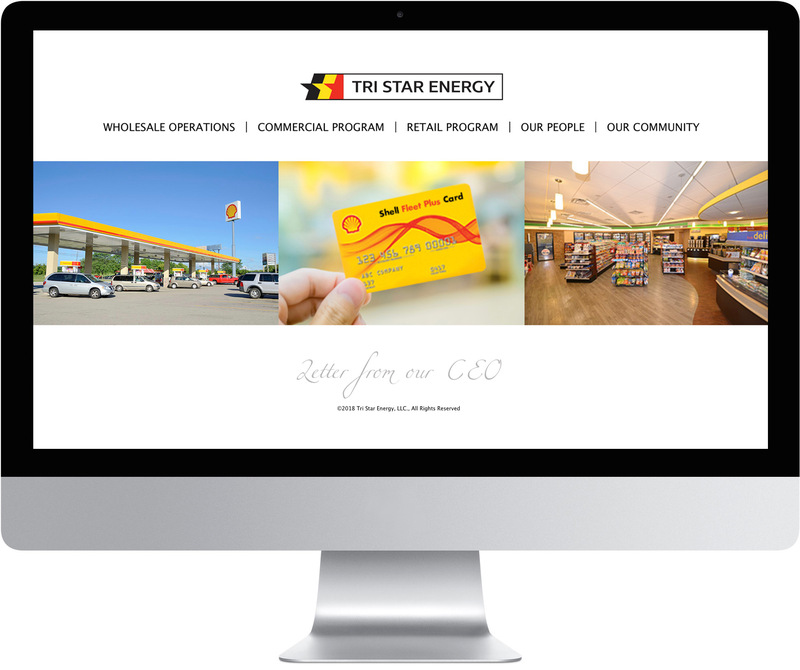 Tri Star Energy needed a clean, mobile-friendly website that clearly identified the company’s three primary areas of operations. We lent a personal touch while keeping the look crisp and professional. Working to maintain Tri Star Energy’s strong brand recognition while refreshing a dated logo, our graphic designer developed a logo with clear iconography, bold colors, and a modern typography. Achieving a look that was equal parts accessible and professional, our photographer captured the executive team at their very best — looking confident, approachable, and capable.